Greetings all! Apologies for the impromptu hiatus – I’ve had a lot of computer issues (and as a result I’m typing this from my new laptop! ), and have finally become employed! 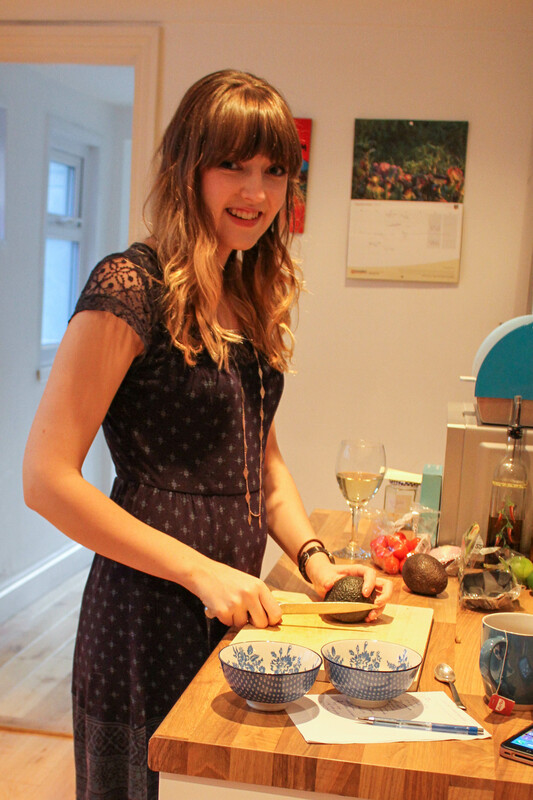 I’m back with a vengeance though, and have some great recipes lined up for the next few weeks. 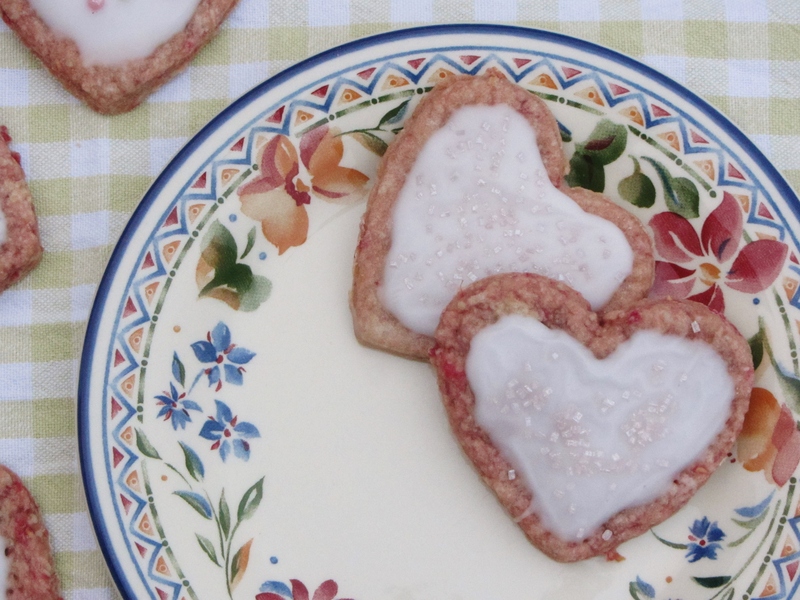 Starting with these – raspberry vanilla biscuits, which are super easy to make and perfect for Valentine’s Day on Saturday (whether that means giving them as a present or scoffing them yourself, as I intend to do). 1. Preheat the oven to 180°C and grease or line a large baking tray. Mix together the flour and sugar, and rub in the butter until your mixture resembles breadcrumbs. 2. 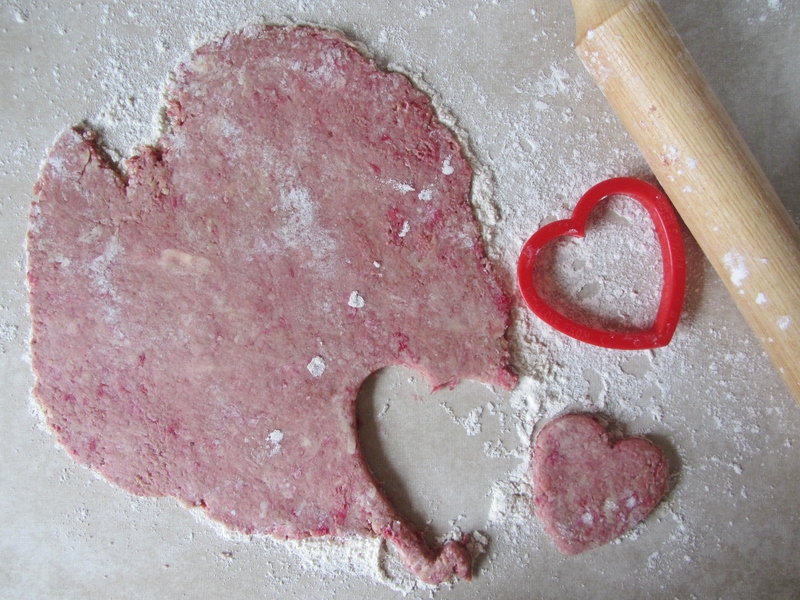 Stir in the raspberries and vanilla, and add just enough water to bind your mixture into a dough. 3. Turn out the mixture onto a lightly floured surface, and roll it out to about 3mm thick. Cut out shapes and transfer them to the prepared baking tray. 4. Bake for 20 minutes – they should still be slightly soft, as they’ll harden as they cool. Transfer to a wire rack until cool. 5. 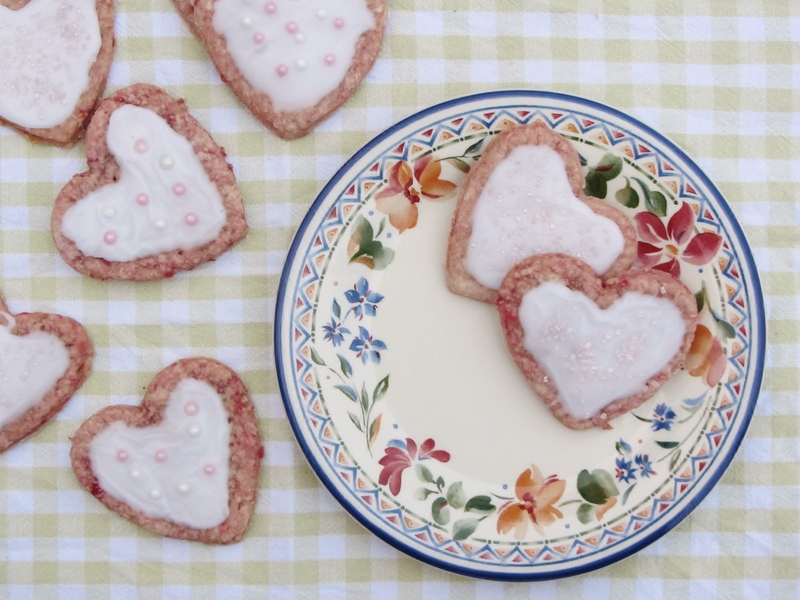 Decorate as you wish – I used water icing (literally mix icing sugar with just enough water to form a fairly thick but liquid icing), pink sugar and sugar pearls. Not my usual sort of decoration, but cutesy enough for Valentines I think!